Japan’s new H3 launch vehicle, which is currently under development, will make its first commercial flight in 2022, with Inmarsat as its first customer. The H3 rocket, which is being developed by Mitsubishi Heavy Industries (MHI) and Japan’s space agency JAXA, is meant to replace MHI’s existing H-IIA launch vehicle that JAXA uses more than any other launch vehicle. Aiming at a lower cost and a quicker turnaround time, the H3 will be able to take 6,500 kg to Geostationary Transfer Orbit (GTO), as compared to H-IIA’s 6,000 kg. Its first test flight is expected to occur in 2020. As announced today, Inmarsat has entered into an agreement with MHI, and will be the H3’s first commercial customer. 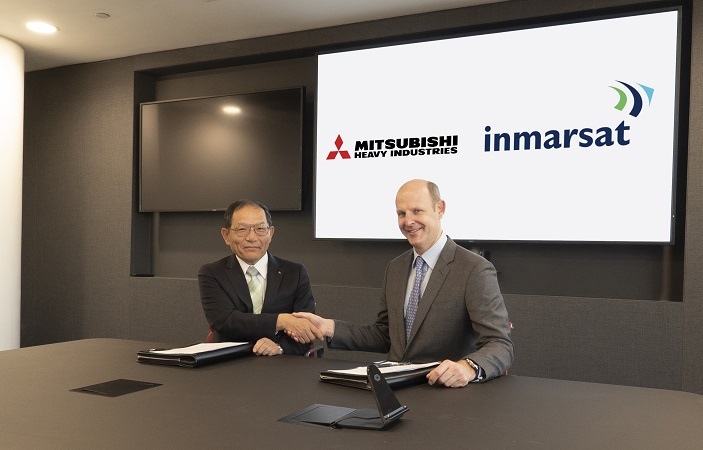 This is Inmarsat’s second contract with MHI, the first having been signed in 2017 for an H-IIA launch of Inmarsat-6 F1, slated to take place in 2020.